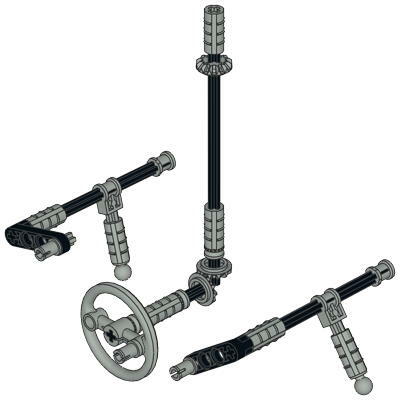 I remember the 8277 Giant Model Set. I remember seeing it on the bottom shelf in the toy store and looking at the ugly robot on the cover and thinking, "No thanks". And there it sat. Month after month, year after year it sat there while I spent my money on other things. Finally the toy store put it on clearance for $20 and I bought it. 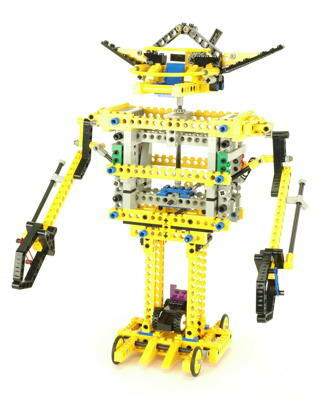 I built the giant robot and realized that I had been right about the set so I sold it. 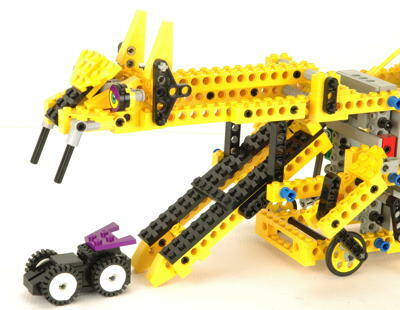 It wasn't until years later when I was collecting Technic that I bought it again. So what's the problem here? Make no mistake, this set is aptly named. Each of the 3 models is as physically large as anything ever released in the Technic line, and there are sixteen 16L Technic bricks included. Other than though, it doesn't have much going for it. 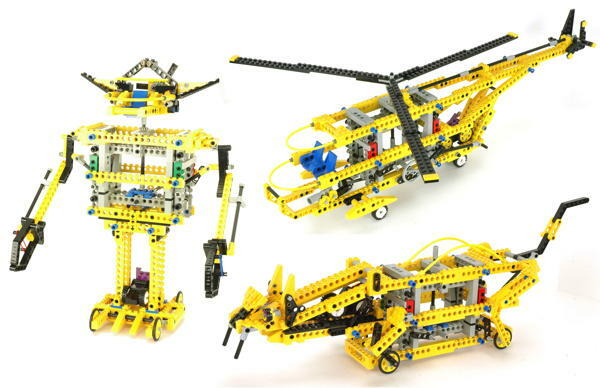 The models are large, but generally don't have any more functionality than a micro model. The issue is probably that this set is really for beginners but the size of the set and box intimidated them into not buying it. The advanced users who were drawn to a model of this size weren't interested in something so simple. Even today, it is very inexpensive to acquire this set. 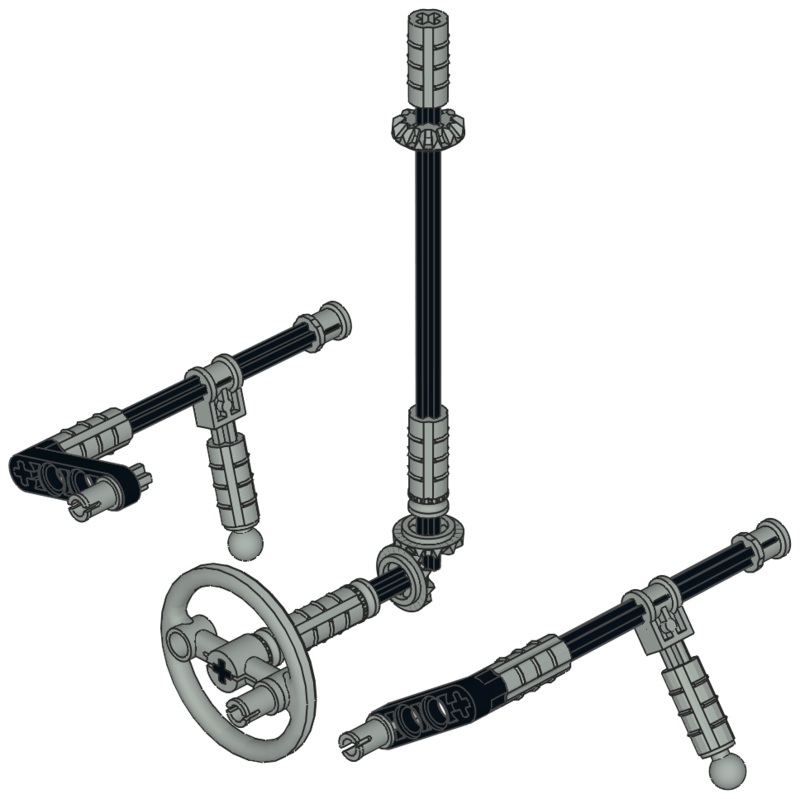 This is one of the last Universal Sets with instructions for 3 models and plan views of 3 others which could easily be built from those sketches alone. It is almost entirely traditional studded bricks and uses a modular building method with a common core and layers attached to it. 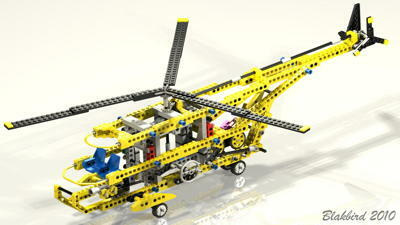 I find the helicopter the most interesting, so it is the model I choose to keep on display from this set. 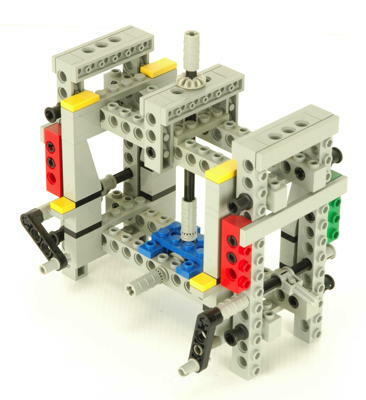 Each model uses the same core mechanical unit which even has its own instruction manual. 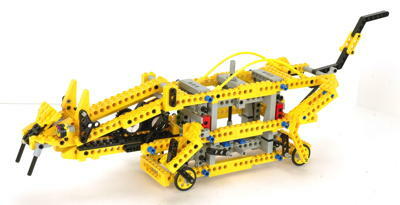 The core is light gray instead of yellow, built of Technic bricks, and has simple functions. 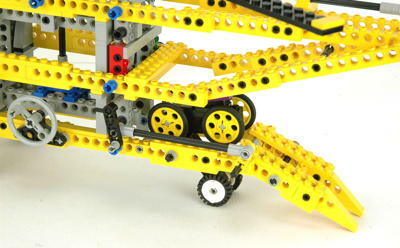 An input on the side turns an axle on the top through 1:1 bevel gears. 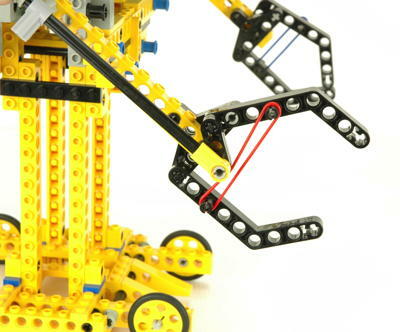 On each end is a simple lever that drives an output arm. That's it. Each main model is added to the core by being built in 3 flat layers as shown. 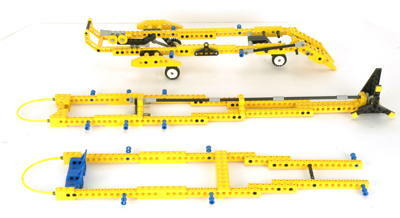 This makes assembly very simple but the models very skeletal. 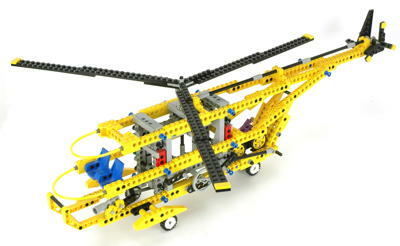 The helicopter is the only model in the set that looks like something real. This 3-bladed behemoth has minimal functionality. 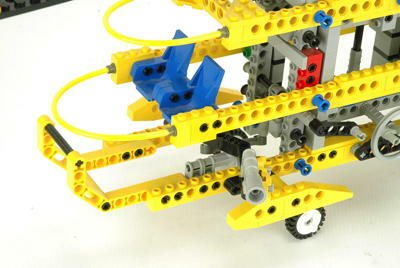 A crank on the side turns the main and tail rotors 1:1. 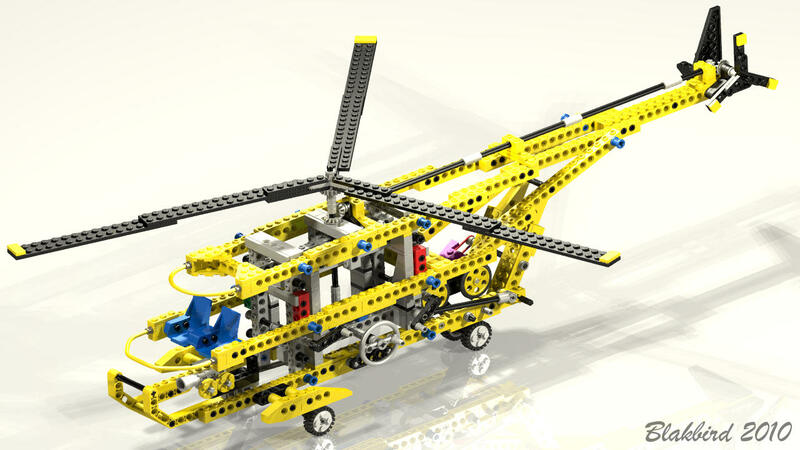 Click to see an animation of the rotors in motion. In ancient times (but when there were still helicopters), there was an antique recording device called a movie camera. This item used chemical film stored on two reels to record images optically! 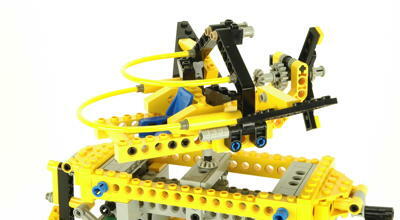 The version on this model can be deployed with the front lever. 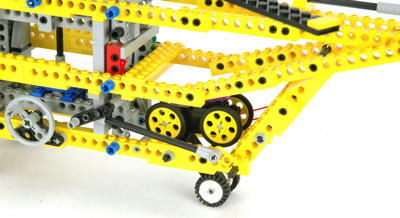 The rear lever opens a ramp which contains a little car. This robot is truly hideous. The proportions are all wrong and he doesn't do much. The crank makes his head spin around for some reason. The head actually contains a seat and a little propeller on the back suggesting that this might actually be a mecha. 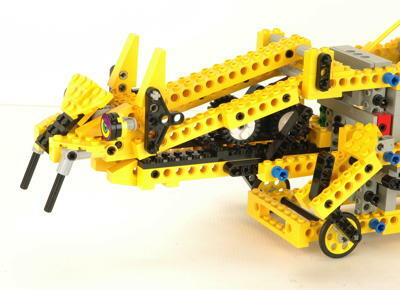 The robot has no feet but rather some tiny wheels, so he can only stalk his prey in a gymnasium. 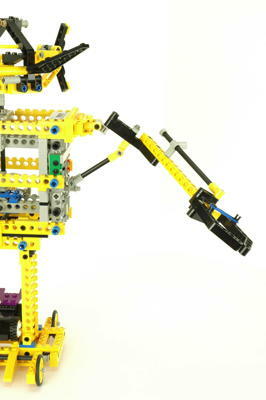 Each lever lifts an arm out to the side. 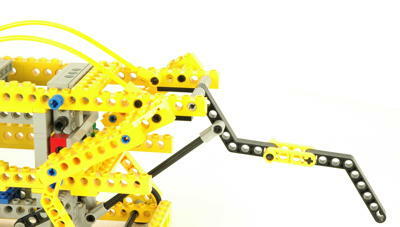 The arms cannot move forward or back and have no internal articulation. 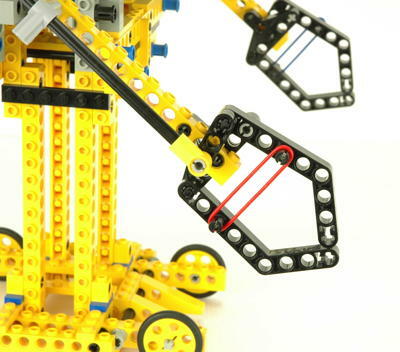 The claw can be opened by pushing a 12L axle. A rubber band closes it again. This cat model is certainly the most unique of the group. The main input crank actually doesn't do anything on this model. 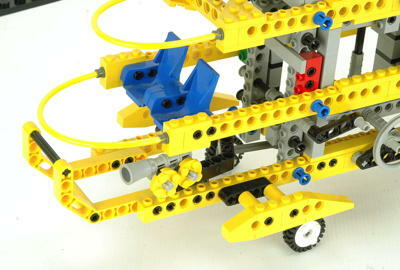 Instead the articulated legs pump up and down with the motion of the tiny wheels. Unfortunately the motion is so fast that it is hard to see at the frame rate of the animation. Click for an animation of the cat in motion. The front lever opens the mouth of the cat and a little hairball car gets coughed up. 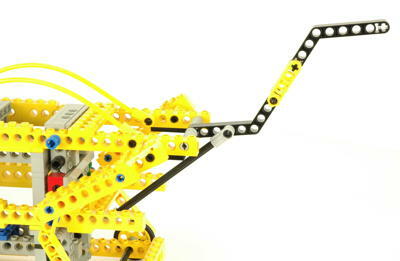 The tail simply swivels up and down with a pushrod.